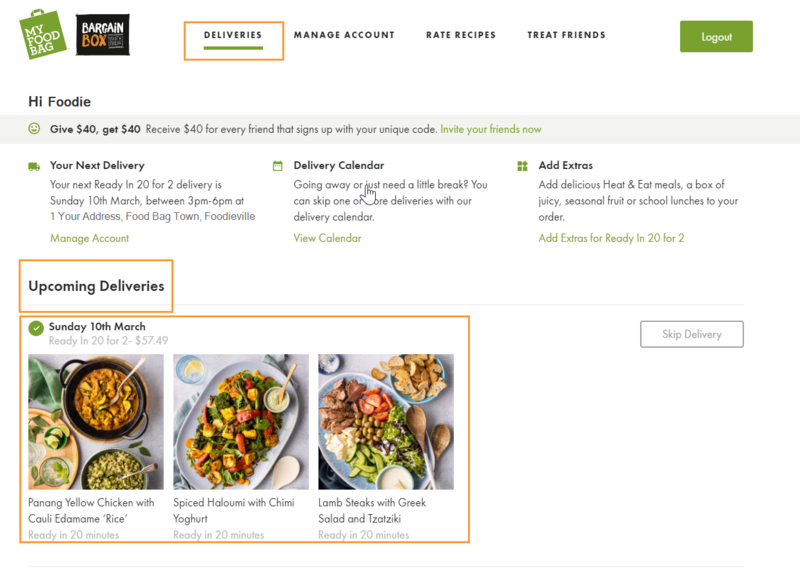 You can see what's on the menu for next week by selecting the 'Deliveries' tab in your account. 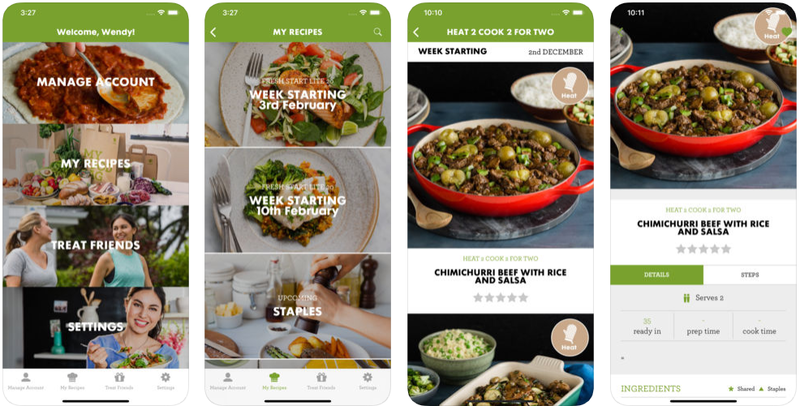 You can also check out your recipes in the My Food Bag/Bargain Box App here. Every Tuesday you’ll hear from the Customer Love team to let you know 'What’s in Your Box', and the staple items you will need for the upcoming week. If you’re no longer receiving the ‘What’s In Your Box’ emails, you are likely to have unsubscribed. Get in touch with the Customer Love team so we can resubscribe you. If you’re subscribed, please remember to check your junk or spam folder in case they’ve been automatically filtered by your mailbox provider.